Movie buffs of the world have something more to celebrate. When Samsung announced earlier this week that it’ll be launching its Blu-ray disc combo drive called the SH-B123 in July 2010, it claimed that it’ll be world’s fastest with a 12x read speed. Initial reviews from testers have started arriving and it looks like the claim is based on some solid new features and improvements which also include the drive being eco-friendly. 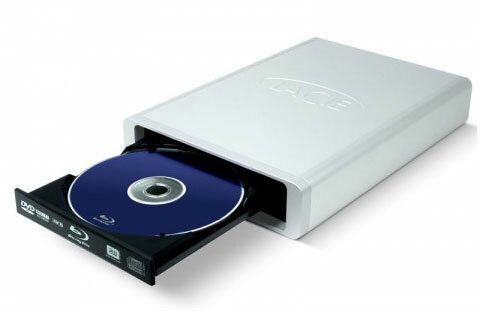 The internal drive can also read CDs at up to 48X and DVDs at up to 16X speed. It uses two lenses and a two laser diode structure, as well as Spherical Aberration Compensation Technology, or SACT, for better read quality when using discs without a uniform thickness. •	Operates at a low-power consumption level that averages 25 percent lower power compared to comparable drives in the market. •	Lead time is improved, reducing the overall timeline 17 percent to 37 percent over previous models. •	Manufactured with lead-free soldering technology. •	Operation: 12X BD-ROM read, 8x BD R/RE/DL read, 48X CD-ROM, 40X CD-RW, 16X DVD±R recording, 12X DVD-RAM recording, 8X DVD±R Dual Layer recording, 8X DVD+RW recording, 6X DVD-RW recording. Users can also upscale DVD resolution movies to full HD resolution with Cyberlink Trutheater technology.